HELSINKI and WALTHAM, Mass., Sept. 14, 2015 – From the Gartner Security and Risk Management Summit 2015 in London, SSH Communications Security today announced that its Universal SSH Key Manager (UKM) solution is now available as a virtual appliance and is free to download and evaluate. With UKM, organizations can map their infrastructure authorizations and implement standard Secure Shell key policies across their entire network quickly without disrupting any already compliant processes. To get a trial license, click here: http://info.ssh.com/trial-ssh-key-manager-beta. Streamline operations: UKM will include a User Portal that enables organizations to further streamline their operations by enabling users to manage their own keys while implementing defined policies and standards compliance. Boost efficiency and ensure compliance: This helps organizations lower their costs and makes users more productive, while fulfilling the requirements set forth in standards such as PCI-DSS, NIST and HIPAA. 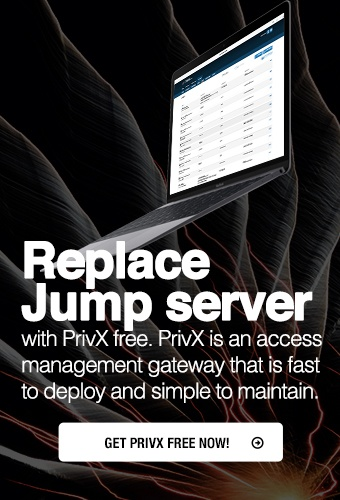 Get started quick: The appliance is available for trials today, and an updated release with User Portal functionality will be rolled out during Q42015. Security and risk leaders must embrace new approaches to digital business while maintaining proven control architecture that mitigates enterprise risk for success. At the Summit Gartner analysts will discuss the skills and strategies needed to maintain cost-effective security and risk management programs in order to support digital business and drive enterprise success. For further information about the Summit please visit www.gartner.com/eu/security. You can also follow the event on Twitter at http://twitter.com/Gartner_inc using #GartnerSEC.